American, 1870-1931. Born in Springfield, MO. Attended the Washington University School of Fine Arts. Spent four years studying in Paris. Studied for a year in Italy and eight months in Spain. Portrait of a young woman sitting in a wicker chair reading. View is from the waist up and 3/4 profile. Background is of a green and floral landscape with possibly a driveway or sidewalk. 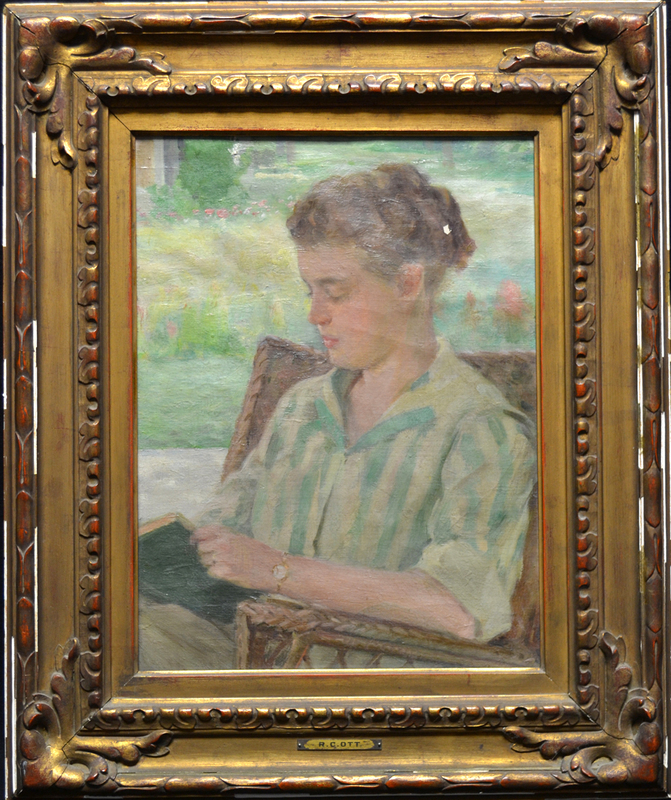 Ralph Chesley Ott, “Untitled (Young Woman Reading),” Drury University Art Collection, accessed April 24, 2019, http://artcollection.drury.edu/items/show/1950.